If you’re looking to start exercising regularly, you’ve probably considered buying a gym membership. But for many people, exercising at the gym is not a pleasant experience. Getting to the gym takes time, and once you’re there you need to find parking. The gym can also get pretty busy during certain hours – usually the hours you’re actually free to go. Once you’re there, people don’t put away their weights, or all of the treadmills may be taken up. On top of everything, those monthly membership dues can get expensive as well. Maybe you’re thinking of skipping the whole gym experience altogether and investing into some home exercise equipment instead. If so, here are 5 important things to consider when selecting exercise equipment for your home. 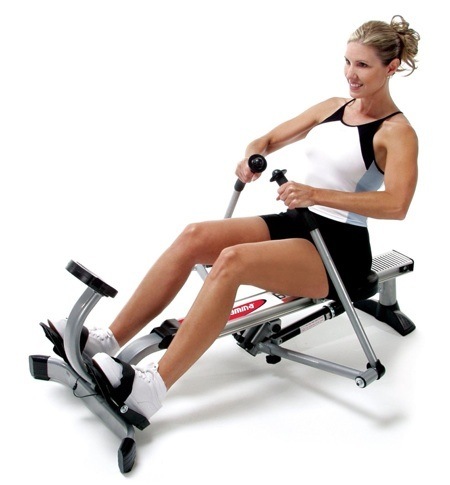 The first step in buying home exercise equipment is to figure out exactly why you’re buying exercise equipment in the first place. What are you trying to achieve? Do you want to lose 30 pounds? Gain 15 pounds of muscle? Get stronger? Improve your cardiovascular health? Determining your fitness goals is not only important in helping you choose the right exercise equipment, but defining specific goals is also crucial to actually sticking with your exercise program. Once you figure out exactly what you want to achieve, you can start looking for equipment that will help you reach your goal, which leads us to point number 2. 2. Will This Help Me Achieve My Goal? Once you have an idea of what you want to achieve and how you’re going to achieve it, you also have to consider whether the equipment you purchase will help you reach your goals. For example, if your goal is to bulk up, you’re much better off buying some free weights, a bench and a squat rack rather than buy a home gym with machines and cable exercises. To build muscle, you need to lift heavy weight and pick muscle groups to work together through compound exercises. On the other hand if your goal is to lose weight, your top priority should be a treadmill or other piece of proven cardio equipment. You also want to consider how much equipment you’ll really need to achieve your goal. If your goal is to give yourself a total, drastic transformation, you might need more equipment than if your goal is to simply get some minimal physical activity into your daily routine. When you’re buying exercise equipment for your home, it’s also important to consider the available space for your equipment. Even if you want a full-fledged home gym with a pull-up bar, a treadmill, a squat rack, a bench press, and cable machines – it might not be practical if you’re living in a 500 sq foot 1 bedroom apartment. You need to tailor your purchases around what you can practically fit into your home. In some cases, this might mean passing on equipment you’d like to have and replacing it with more practical, space-saving alternatives. This is especially a concern if you’re shopping on the budget end of the spectrum. While cheap equipment is not necessarily poor equipment, you should definitely be careful. In many cases, manufacturers may have reduced costs by sacrificing on quality or using poorer materials. While you might save money in the short run buying budget equipment, if the product won’t last, or worse – if the product could break while you’re using it – then it might be worth investing a little more upfront into a higher quality product. Last but not least, you have to consider safety. Not all fitness equipment is created equal, and some machines and devices are more likely to cause injury. You should verify that the equipment has never been pulled from the market because of safety concerns. If you’re working out by yourself and lifting heavy weights, you might also want to consider buying equipment with safety protections built in. If you’re doing a barbell bench press for example, consider buying a bench that comes with catch bars that can carry the weight if you can’t get it back to the top. My name is Ashley Williamson and I am a part-time guest blogger. When I am not working I like to go hiking and discover hidden and untouched places around the world.